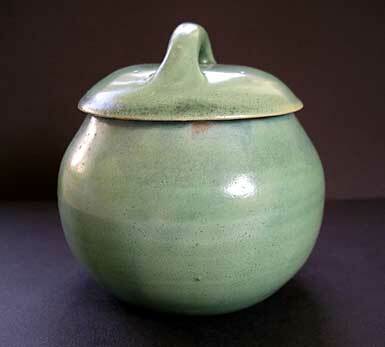 "An attractive hand crafted Upchurch art pottery jam pot and cover. 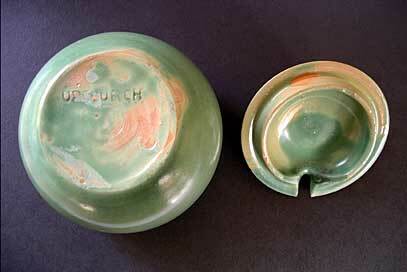 Lovely effect achieved by the pottery - wonderful form, almost an apple with a lid! 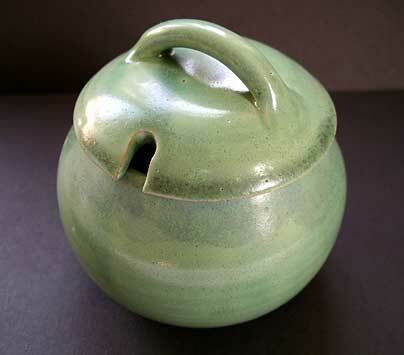 Perhaps more vase than jam pot... certainly artful and rare." Antiques Expert Hamilton Bear. 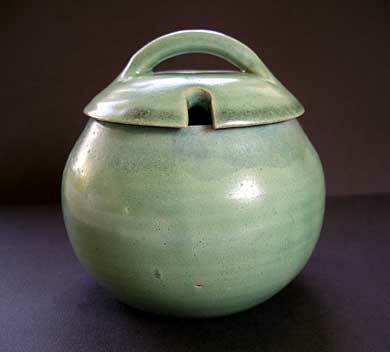 References: See Encyclopedia of British Art Pottery, V. Bergensen page 274 plate 141 top right for an identical Upchurch pottery "marmalade pot", here referred to as the Winnecott period Claverdon Pottery - contemporary range of new shapes. 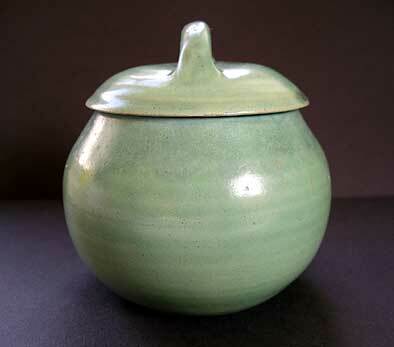 Dimensions: height with lid 95 mm max. Condition: An excellent piece in great shape for display. Looks great with no outward damage chips, cracks and no restoration. 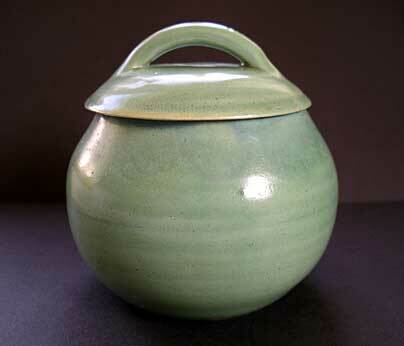 Glaze is very well adhered to the pot, for art pottery - with no flaking. 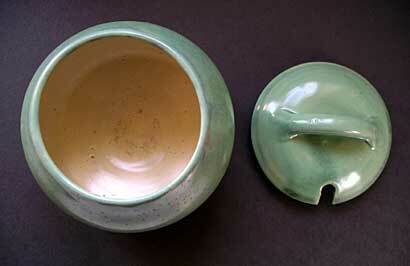 There is a tiny unglazed chip on inner flange rim of lid which appears to be a product of firing.